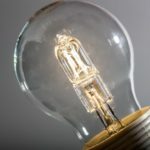 23 Aug 2018 – After nearly 60 years of brightening our homes and streets, halogen lightbulbs will finally be banned across Europe on 1 September. 28 Sep 2017 – MEPs withdraw parliamentary access after the firm shunned a hearing into allegations that it unduly influenced studies into the safety of glyphosate used in its RoundUp weedkiller. 1 May 2016 – Talks for a free trade deal between Europe and the US face a serious impasse with “irreconcilable” differences in some areas, according to leaked negotiating texts. The two sides are also at odds over US demands that would require the EU to break promises it has made on environmental protection. Unusually high winds allowed Denmark to meet all of its electricity needs – with plenty to spare for Germany, Norway and Sweden too. Leaked EU paper predicts fast renewables growth to around double current levels if countries meet climate objectives. UK leads European solar energy expansion to help renewables overtake output of nuclear power as industry leaders hail ‘tipping point’ for the technology.